In the digital age, computational thinking (CT) is an essential skill for students and educators alike. This systematic approach to solving problems is at the foundation of not just computer science, but many other subject areas – and careers – as well. Developed with support from Google, Introduction to Computational Thinking for Every Educator unpacks how CT can be integrated throughout subject areas and grade levels. Through this course, you’ll increase your awareness of CT, experiment with CT-integrated activities for the subject areas you teach, and create a plan to incorporate CT into your curricula. This is a 15-hour, self-paced course with ongoing instructor support. This course is asynchronous and self-paced. Enrollment remains open after the session has begun and closes when you still have adequate time to complete the course. This course is developed with support from Google. More than 65% of students will work in jobs that don’t exist today. Google is helping educators prepare their students for that future. We provide content and professional development to build teachers' knowledge and skills. And we are helping students get excited about where computer science (CS) can take them. Through our programs and partners, we reach millions of students every year, with a focus on those who are underrepresented in the field today. 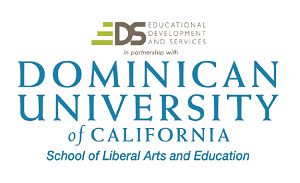 ISTE U courses are graduate-level credit eligible from Dominican University of California. Find out more about eligibility for graduate-level credit, fees and next steps for this course here. Mike is a Ph.D. candidate and associate instructor in the Instructional Systems Technology department at Indiana University. He teaches preservice teachers about technology use in their future classroom and helps train future technology coaches. Additionally, Mike conducts research on broadening participation in computing, and has previously published studies on improving technology professional development practices. Prior to his current role, Mike spent six years as a K-12 teacher in the U.S., South Korea and Colombia, where he taught biology, English, and computer science. He also served as a technology integration specialist and provided schoolwide technology professional development. Outside of the classroom, Mike runs the EdTech Roundup, an education technology blog that focuses on providing teachers with reviews of apps and services. Heidi Williams is a passionate coding and computational thinking advocate. Her over 25 years of experience in education include serving as language, science and mathematics teacher for grades 6-8, as well as roles as a differentiation specialist, technology integration specialist, instructional coach, gifted and talented coordinator, elementary principal and K-8 director of curriculum. Williams has shared her passion for integrating coding into the curriculum at local, state, regional and national conferences, and many have leveraged her expertise for conference presentations, coding coaching, professional development and K-12 scope and sequence alignment of computer science skills throughout the curriculum.